Discover out-of-the-way places like Wentworth Falls and Govetts Leap. Change things up with these side-trips from Sydney: The Giant Stairway (in Katoomba), Kiama Harbour (in Kiama) and Shelly Beach (in Manly). Spend the 9th (Sun) exploring nature at Sydney Harbour National Park. 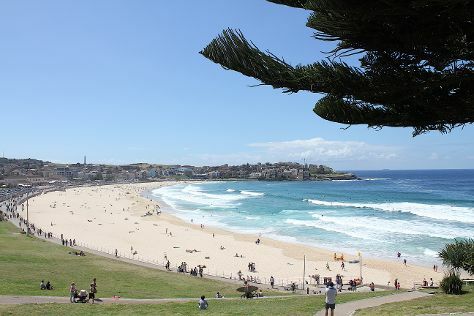 The adventure continues: kick back and relax at Bondi Beach, trek along Bondi to Coogee Beach Coastal Walk, stroll through Manly Beach, and admire the natural beauty at The Royal Botanic Garden. For more things to do, maps, where to stay, and more tourist information, go to the Sydney vacation builder tool . If you are flying in from Singapore, the closest major airport is Sydney Kingsford Smith International Airport. December in Sydney sees daily highs of 32°C and lows of 21°C at night. Finish your sightseeing early on the 11th (Tue) so you can travel back home.